Part of newsletter sent on 10-December-2015. Register to receive newsletters here. Some people complain that the cost of my course is too much. Really? Have a look at this – an email of my client I received today morning. In 15 days one of my clients made Rs.6930.00 Profit. And all this with a Full Time Job. You can click on the image if you cannot read it clearly. Tell me, is paying 5k or 6k really too much when you can get your money back + some more in 15 days? On top of that you get my support for 1 year. Tip For Those Who have taken my course: Have you ever tried Strategy 1 (the non-directional trade) on STABLE STOCKS? You know what, stocks have more volatility, so the premiums are also more – therefore you can make up to 5% a month. However with a slight increase in risk. Let me tell you that liquidity will be a issue, so please try on stocks with good liquidity. Luckily stocks with good liquidity also are VERY Stable – so that is an added advantage. Try it. If you fear trading stocks, do paper trading for about a month and get in. Please remember that margin blocked may be more. For that consult your broker. If trading options, it is very important that you trade with a discount broker who charge low brokerage so that you do not feel the pain of paying too much getting in and out of a trade. Another thing you must keep in mind is that it does not matter if margin blocked is more – ultimately it is the ROI (return on investment) that matters. Return of 3000 on 1 lakh is same as return of 15,000 on 5 lakhs. As you can see above if you really like the magic of compounding to work on your portfolio, you must try to bring more money into your trading account. Remember with a discount broker number of lots does not matter as you are paying only a fixed price for one order. Even if you buy/sell 10 or 100 lots you still pay a fixed low brokerage. 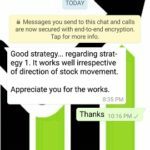 So I request you to trade with a discount broker to save your money. If you want to open your account under me with the best and the safest discount broker in India – send me your name, email, and phone number and I will set up you under me. And if you want to know anything about my course, please contact me. Learn and trade, else you are in a better position to know whats happening to your account by speculative trading. Please stop your losses and do the course now. And if you are not taking the course because you think 3% a month is too less a return then think again – is making 3% a month better or worse than losing money every month? All in all your losses may run in lakhs or ever crores in the hope of getting 10% a month and you will never know. You can pay for my course online here. People who have taken my course, can you see how strong the conservative stock option strategy is? Check your email where I send the strategies, you will find this written by me – “Do Not Fear Trading Strategy 3 – The Stock Option Strategy – You will leave money on the table”. By not trading the conservative stock option strategy, you are actually leaving money on the table. Note: In spite of the above my suggestion remains same – you should paper trade the pure non-directional strategy in some stable and liquid stocks like ITC, HDFC, HDFC Bank, SBI and see the results. If you are able to devote a little more time, I guarantee that you will see better results than Nifty in Stocks, as they have a higher premium. Even Bank Nifty options have higher premium than Nifty because of the high volatility. I assure with slightly more risk you can make that magical figure of 5% a month.